July marks the beginning of peak season – but if you travel towards the beginning of the month you can escape the school holidays and pick up some surprisingly cheap deals. Although the Mediterranean is the obvious place to go on holiday in July, there are other options: you could head north to Scandinavia or Iceland to experience the midnight sun or stay in the UK. 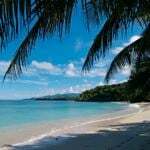 Also see the best family holidays in July and singles holidays in July. Note: all the travel companies featured are personally recommended by our editors. Renting a private villa with pool is one of the best ways to enjoy the Med. 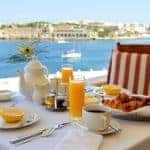 We recommend the pretty coastline of Catalonia for fishing villages, pretty coves and mountains, and Paxos, a step-back-in-time Greek island. Malta offers sun, sea and a fascinating dose of history while neighbouring Gozo is all about sleepy charm. If you want beach holidays in July, head to the Costa de la Luz in south-west Spain, or the delightful but often overlooked French island of Corsica. The Balaerics – once you get away from the busiest resorts – are superb, especially Mallorca. If you want to escape the crowds, consider the Alentejo region of Portugal, which has beautiful sandy beaches, pretty white-washed villages and charming hotels, but has been largely untouched by tourism. It’s like the Algarve 40 years ago. A great way to explore Portugal is a fly-drive, sleeping in a variety of historic pousada hotels. Another unspoilt corner of the Med is Montenegro where you’ll find great food, historic old towns, mountains and shingle beaches. I love this collection of boutique hotels. Slovenia is also criminally overlooked. It’s a beautiful compact country of sparkling lakes, medieval towns, alpine meadows, vineyards and pretty ports. It’s great value, too. Try this fly-drive holiday. After a period in the wilderness, Turkey is back. On the so-called Turquoise Coast, you’ll find wonderful hotels and villas in charming unspoilt areas such as Kalkan, Dalyan and the Bozburun Peninsula. It can be hard to find a high quality all-inclusive resort in the Med, but we love the IKOS group in Greece. Head to the IKOS Olivia in Halkidiki or the IKOS Dassia in Corfu. If money is no object, Scott Dunn has some luxury staffed villas complete with private chef, host and nanny. Mainland Italy is one of the best holiday destinations in July. We recommend Le Marche for its luscious countryside and good-value accommodation, or Tuscany where you can rent a villa and explore medieval hilltop towns and cultural highlights including Lucca, Florence and Pisa. Or head south to Puglia and stay in a five-star masseria or one of these luxury self-catering trulli with pools. The Italian islands of Sicily and Sardinia have superb beaches: we recommend Forte Village in Sardinia and Verdura Golf & Spa Resort in Sicily – both world-class. July is also a great month to enjoy the dramatic Amalfi Coast. Find more holiday ideas in Italy. See our selection of the best Mediterranean holidays, and more holiday ideas in Spain. The Italian Lakes offer a picturesque setting for family holidays in July, with charming hotels, great beaches and lots of opportunities for boat trips and activities. Or enjoy the all-inclusive water sports at the new Paleros Beach Resort in Greece. In mainland Greece, we recommend the Sani Resort on a spectacular stretch of protected beach. 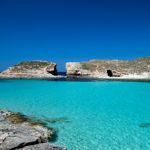 The Greek island of Crete has many charming houses to rent and some first-class hotels including the contemporary-styled Daios Cove. The coastline of Northern Spain is perfect for families in July. It offers beautiful beaches, green countryside, excellent food and wine, mountains and historic villages – but unlike southern Spain, it doesn’t attract crowds of package tourists. Fly or take the overnight ferry, staying in a villa with private pool. 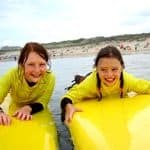 In Britain we particularly like Sands Resort Hotel in North Cornwall, which has a great programme for children, and five-star Gwel An Mor near the popular beach at Portreath. If you’re travelling with a large group of friends or families, you could rent a large house that sleeps 12 or more. 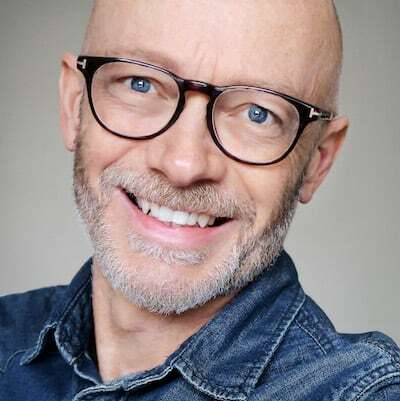 The Big Domain has a fascinating collection of houses, villas and chalets in the UK and overseas, by the sea, in cities and in the countryside. You can also rent a chateau in France with Oliver’s Travels (see their latest special offers). For smaller groups check out this selection of villas with private pool in some of the most desirable parts of France including Languedoc-Roussillon, the Dordogne and the Côte d’Azur. If you want to combine adventure, culture and relaxation, take the kids on a cruising holiday aboard a traditional gulet. Explore the coastline of Turkey, Croatia, Italy or Greece, with lots of swimming in deserted bays, and guided visits to cultural sites. 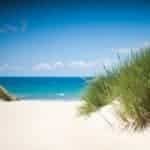 Find more ideas on our sister website, 101 Family Holidays. 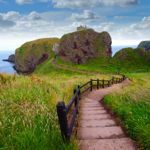 If you don’t want to lie on a beach, how about a cycling holiday in Europe with Headwater, or a walking holiday in the splendid mountain countryside of northern Spain. You can also take a (less expensive) cycling break in the UK, either road cycling or mountain biking, from just £225. The Alps in summer are gorgeous: great weather, clean air, low humidity and sparkling lakes where you can swim or enjoy a range of activities as well as summer skiing. See the latest special offers. It’s also a great time of year to get a deal at The Lodge in Verbier, a luxury chalet owned by Sir Richard Branson. There are direct flights from Gatwick to the Azores where the whale and dolphin watching season is in full swing. The 24ºC temperature is perfect for lazing on the beaches or walking or cycling in the lush volcanic countryside. In Italy, the Verona Opera Festival runs throughout July and includes open-air performances of operas such as Aida, Carmen and La Traviata in the city’s magnificent Roman arena. Or explore the “real Spain” amongst the medieval walled towns and national parks of Extremadura. Try this 8-night self-drive tour from Seville to Madrid. In recent years July has been the month with the most reliable weather in the UK. 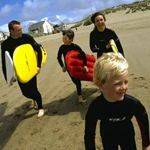 You could enjoy the surfing, seafood and coastal paths on offer in Devon and Cornwall. 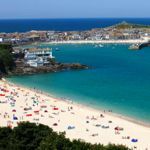 There are several ways to explore Cornwall – you could rent a cottage with Classic Cottages, stay in one of the county’s finest B&Bs or go glamping at Trevella Park beside a stunning beach near Newquay. 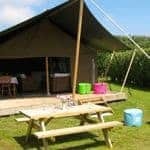 The park has nature trails, fishing lakes and a heated outdoor swimming pool and a range of accommodation including tepees, safari tents and bell tents that sleep 4-6. Dorset is sometimes overlooked in the rush to get to Devon or Cornwall, but its Jurassic Coast has surged in popularity, partly inspired by TV’s Broadchurch which was filmed in West Bay. 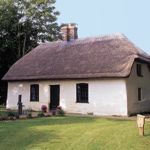 Rent one of these charming holiday cottages. If you want to be closer to London, head to beautiful East Sussex. 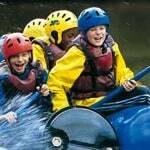 July is a great month to rent a boat with Waterways Holidays, perhaps on the Norfolk Broads. Or you could stay at a luxury woodland lodge with your own outdoor hot tub in Sherwood Forest. If you love challenging walks, rent one of these luxury cottages in the Lake District. 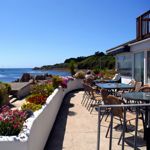 You could rent a former lighthouse keeper’s cottage or in Devon stay at one of these pubs with rooms, or farmhouse B&Bs. And if you don’t want to leave your dog behind, this selection of dog-friendly cottages in England, Wales, Scotland and Ireland is for you. For a touch more pampering, stay at one of our recommended hotels including Gilpin Lodge in the Lake District. If you want a stylish place to stay in a remote location it’s hard to beat Pen-y-Dyffryn Country Hotel which is set in five acres of grounds in the rolling hills of the Welsh-Shropshire border. It has an award-winning restaurant, lovely bedrooms and also welcomes pets. Nearby in the market town of Bishops Castle, The Castle Hotel is a great base for exploring the surrounding countryside. It has 12 rooms and a gourmet restaurant. Check out this collection of boutique hotels and cottages in the UK which includes budget options such as this groovy guesthouse in Brighton and upmarket picks such as Olga Polizzi’s Hotel Tresanton in Cornwall. This is a great time of year to visit Scotland. You can choose from a range of short breaks including whisky tours on Islay and the chance to see Minke Whales, otters, seals, porpoises on a wildlife cruise around Mull. This luxury six-night break to the Highlands and the Isle of Skye begins with an overnight sleeper train from London. If you want to stay in one place, a 90-minute drive from Inverness gets you to The Torridon, a glorious hotel set in 53 acres amid spectacular lochs and peaks. For something more grand, you could get together with family or friends to rent a Downton Abbey-style stately home. A sea crossing is always an exciting way to start a holiday. Take the ferry to the Isle of Wight or travel by ferry or flight to Jersey which has castles, sandy beaches and great restaurants, all with a distinct French accent. Stay at the Pomme d’Or Hotel in the capital St Helier, or the resort-style Merton Hotel. Love the arts? Explore Britain on a small-group cultural tour. 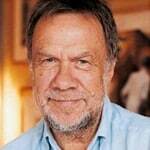 Under the guidance of an expert in art, music or architecture, you can visit some of the Great Houses of England or attend a classical music festival. Find more UK holiday ideas and check out my colleague Annabelle Thorpe’s recommendations for short breaks in July. Many popular long haul destinations experience rainfall and high humidity in July, so you need to select carefully. 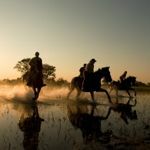 It’s a good time of year to visit Peru, or you could head to Colombia which has thrown off its reputation for drugs and violence to emerge as one of the most exciting – and friendly – destinations in Latin America. This 14-night Highlights of Colombia tour will get you to Cartagena on the Caribbean coast, Medellín, the Gold Museum in Bogota, the underground Salt Cathedral in Zipaquirá and Tayrona National Park. If want a full-on adventure, how about taking a few weeks off for an overland truck tour. For many people, this turns out to be one of the great travel experiences of their life. Many destinations in Asia are wet in July, but the east coast of Malaysia and Thailand is an exception. Head to Koh Samui, where backpacker huts have been replaced by gorgeous hotels such as Anantara BoPhut Resort & Spa. Borneo is another option. 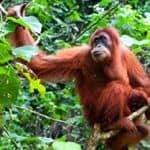 Although it also has white-sand beaches, the real attractions are inland, from Orang-Utans and pygmy elephants to tribal home stays, white-water rafting trips, jungle treks and cave adventures. If Africa, July is a great month for a safari holiday in Botswana. It’s also a perfect time to join a gorilla tracking safari in Rwanda and the dry season in Namibia, to view black rhino in Etosha National Park. You can also track lemurs and go whale watching in Madagascar. Bermuda is warm and sunny in July, with its pink sand beaches, lush gardens and pastel houses. 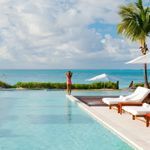 Best places to stay include Cambridge Beaches, the child-friendly Fairmont Southampton and the good-value Grotto Bay Resort. Or join an escorted tour in the USA. This nine-day Best of California coach trip includes San Francisco, Los Angeles, Yosemite National Park and Santa Barbara. If you like your independence, hit the road on this California Winelands self-drive tour. Yes, there are tastings. July is also a good month to explore the natural wonders of the Galapagos Islands – take a luxury small ship cruise on the MV Santa Cruz or Athala II. 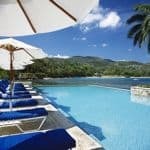 Finally, the Caribbean is nearing the end of its season but still popular, with low prices at hotels. 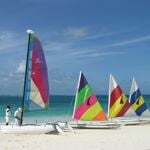 See our pick of the top Caribbean holidays and details of the Caribbean weather in July. July is not just about going south – it’s also a great month to head north to enjoy long sunny days, beautiful unspoilt scenery and a glimpse of the midnight sun. 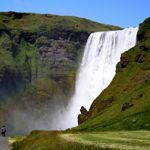 How about a holiday in Iceland to explore an amazing country of mountains, glaciers, volcanoes and geysers. 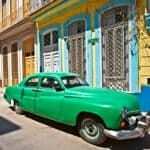 Choose from some great fly-drive tours and see the latest special offers. Head to Norway for dramatic summer scenery, spectacular skies and fascinating culture. You can take a Coastal Voyage on a ship used by local people, or see whales and traditional fishing villages in the Lofoten Islands. Visit Tromso – Land of the Midnight Sun – or set off to explore Fjords, Lakes and Mountains. Sweden is dramatically beautiful in summer – all crystalline lakes, midnight sun, stylish cities and an archipelago of unspoilt islands. Try this Highlights of Sweden self-drive tour which includes Stockholm, Lake Silja, Lake Vattern and walking in Tivedens National Park. See this selection of holidays in Sweden in July. 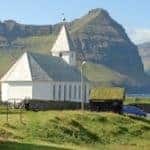 If you want to explore nature in the raw, how about the Faroe Islands, located between Norway and Iceland and only a short flight from Edinburgh. You can explore the 18 islands by tunnel and ferry on a fly-drive. For a short break, ride Europe’s highest railway between Olso and Bergen on a four-night Roof Across Norway trip or join a Brown Bear Adventure in remote eastern Finland. Alternatively, spend a few days in one of the great German cities – Cologne or Berlin. Find more hot holidays in July and see our sister site for honeymoon destinations in July.